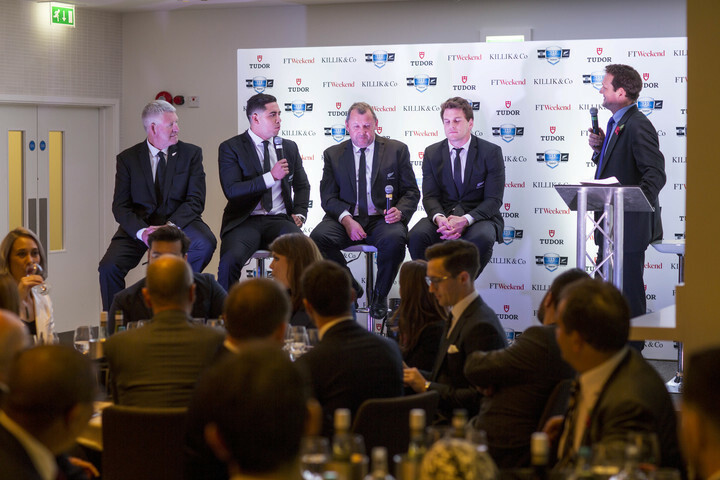 How do you bring an authentic taste of New Zealand, and a real life feel for Rugby in one spectacular, star studded celebratory lunch in London? For the dinner, the obvious venue was Twickenham, the home of England Rugby and a venue already award winning for both its hospitality, and its food and beverage. For a slice of New Zealand? Organisers TLA Worldwide bought in traditional Maori performers, All Blacks players and New Zealand Rugby guests, and for an added extra on the food, celebrated Chef Monica Galetti, of MasterChef fame. Over 120 people attended the celebration, including the majority of the current All Blacks squad. The event started off within the infamous changing rooms ('away' for this occasion!) of Twickenham, fully kitted out as per a match day, with the infamous New Zealand All Black kits, for a champagne reception, canapes, and welcome address. The guests then made their way from the changing rooms and onto the pitch, to experience the very best pitch-side hospitality from the team at Twickenham Experience Ltd (TEL), and a special 'Welcome Ceremony' and Hakka performed by the London Maori Cultural Group. The guests then made their way back into the stadium, for a banquet within Twickenham's 'Spirit of Rugby Room', with a menu created in partnership with Monica Galetti, Twickenham Experience Ltd Head Chef Tom Rhodes, and the on-site team at Twickenham. The entertainment for the night came in the form of live interviews on stage with legends of New Zealand Rugby, past and present, Including All Blacks assistant coach Ian Smith and Barbarians coach Robbie Deans. There was also a speech from Monica on her creative approach in devising the menu and food served on the night. "It was a wonderful occasion in an outstanding setting," commented Paul Roberts, TLA Worldwide. "We were able to bring a bit of All Black sparkle to the Home of England Rugby and create a really special occasion for all our guests and a fitting tribute to 125 years of Rugby excellence. I was delighted by how our teams worked together, Twickenham Experience Ltd, Monica, and our on site staff from TLA, it was a great collaboration."